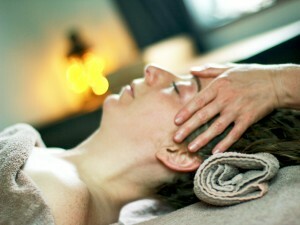 Reiki is a natural hands on healing method. Reiki (pronounced Ray-Key) is roughly translated as Universal Life Force Energy. Becoming reiki attuned means you have access to channel this energy into yourself and others for healing purposes. Working with reiki is a life enhancing skill and often people will decide to become attuned for purely personal reasons, you can however also use reiki in a professional capacity once you have completed the requirements of a second degree practitioner (attending First and Second Degree Attunement Workshops, distance healing requirements, and completing case studies). I keep my attunement workshops to a maximum group size of eight people in order to ensure that all participants get the support they need during these intensive training days. Reiki attunement can be truly life changing and therefore it is important to receive the right support during these times. Workshops are organised in accordance with demand so please contact me if you are interested in training. An intensive two day workshop which will take you through both the first and second degree attunements, the basics of giving a reiki treatment to yourself and others, and how to use the reiki symbols to enhance your work. The course includes all course materials, comprehensive manuals for first and second degree reiki, and light refreshments (drinks / snacks). Lunch is not provided. Progression to becoming a practitioner is dependant on you completing the required distance healings and case studies and submitting these for assessment. Reiki master teacher training is available on request. This training is available on a one-to-one basis or in a group.